A longtime Grab & Go Hot Sandwiches baker fell victim to a deadly hit-and-run in Chula Vista last night. Devastated family and friends have launched a GoFundMe to assist with funeral costs and continue to seek information on the driver. Police are looking for help finding the hit-and-run driver who struck and killed Rogelio Arellano around 10pm on Sunday, March 11 in the 400 block of Moss Street and Fourth Avenue in San Diego's Chula Vista neighborhood. Police believe that Arellano was walking to his car when he was struck by a passing vehicle that fled the scene, possibly a dark gray or silver BMW. Reports indicate that the suspect vehicle sped away westbound on Moss Street toward Fifth Avenue and Broadway. "Based on evidence at the scene, we believe the vehicle sustained damage to the passenger's side, including missing its right passenger's side mirror," said Chula Vista Police Sgt. Scott Schneider. 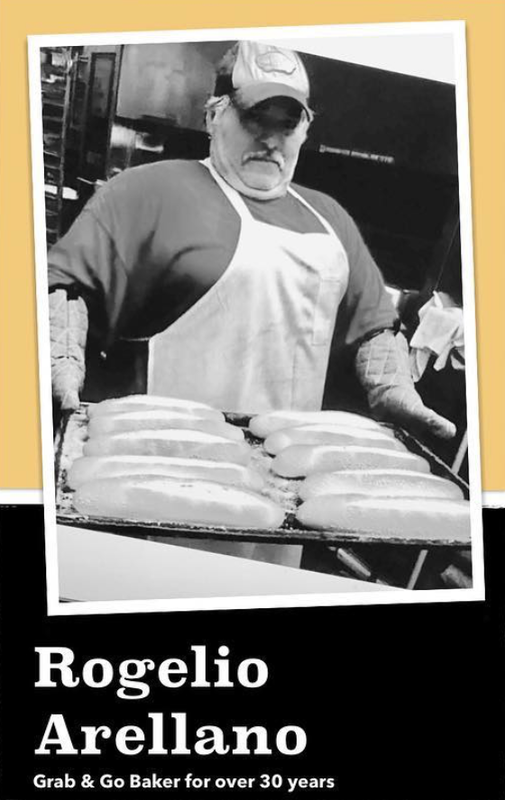 A loving father and husband, Rogelio Arellano was one of three bakers that made the bread daily for San Diego sandwich chain Grab & Go Hot Sandwiches for over 30 years. A GoFundMe fundraiser is currently seeking to raise $2,000 to assist his family with funeral expenses and costs. Grab & Go has committed to matching each donation made. Grab & Go Hot Sandwiches was founded in 1973 by Vincenzo “Mimmo” Gaglio. The company currently has 7 locations of Grab & Go around San Diego County, with an eighth location installing this Spring at the corner of Washington & Falcon Streets in Mission Hills. The brand also operates Mimmo's in Little Italy and Hungry Lu's in Ocean Beach. Anyone with information about the fatal hit-and-run was asked to contact the Chula Vista Police Department at 619.691.5151.